Happy Book Birthday to Miss Adeline's Match! This is no April Fool's Day joke: my newest Regency romance is now making its way into the world! You can grab it on Amazon NOW! But to see this book go out into the world, to hold it in my hands and to see it in other people's hands—well, that's frankly quite amazing. I don't know if I'll ever get used to it, and I certainly hope not! I want to feel like this all the time. Adeline and Evan were such challenging characters to write, and getting their love story just right is one of the accomplishments I'm most proud of. My hope for this book is that it will allow you escape into a lovely romance—into another time—for a few wonderful hours. I'm so excited about Miss Adeline's Match that I'm offering a free sample! You can download the first two chapters of this book for a limited time. Hope you enjoy it! ​And I just wanted to thank YOU, my wonderful readers and supporters. Because obviously I would not be publishing at all if it wasn't for people like you who love romance and history, and who grow to love my characters and stories as much as I do. Thank you, sincerely. ​I’ve mentioned a few times on social media how the other Forever After authors and I put together a photoshoot for our covers, and I have had SO many questions and interest in this, I decided to put together a blog post about it! The five fabulous authors of Love Letter Press! But after a lot of thought and discussion, we decided that it was important for us to have unique covers, with models and images no one had ever seen before. And so we pushed ahead with our photoshoot, and the planning commenced! That’s where the amazing Arlem Hawks comes in. If you don’t follow her on Instagram, go do that immediately! She posts the most amazing things that she makes, including these dresses, Regency stays, and petticoats. This photoshoot would not have been possible without her. She is an amazing seamstress and sewed every single dress you see on our covers. I KNOW. Sewing is not a talent I have, so I am grateful she does! Arlem's dresses. Aren't they beautiful? ​Not only did Arlem volunteer the use of her amazing dresses, she also flew in to Utah and helped me organize and run the shoot. She is the BEST! And then we were so lucky that our other authors had incredible family and friends that we enlisted to model, do hair, and take photos for us. We are SO grateful for their help, and in making our covers as beautiful as they are. 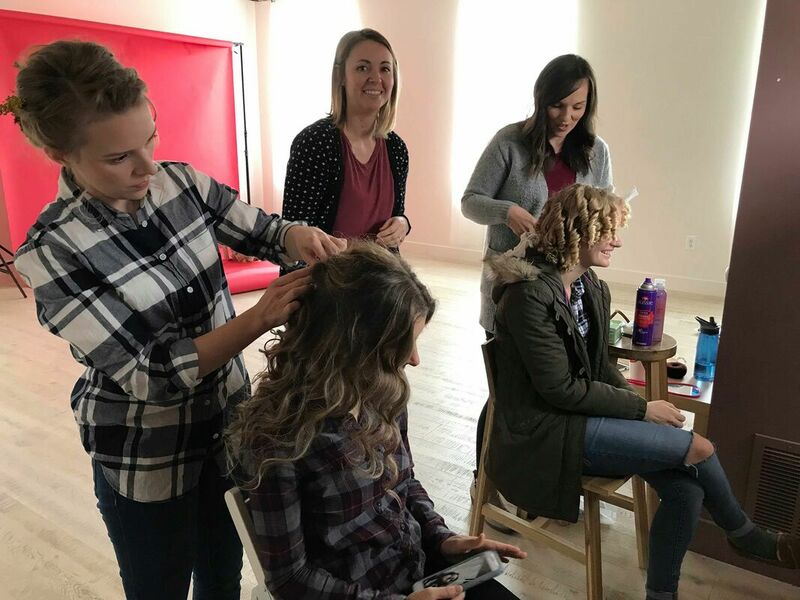 ​We met with our four gorgeous models on a Saturday in November and spent two hours doing hair, makeup, dressing, and posing! It was a BLAST. A huge shout out to Stephanie Lance Photography for her incredible photos (and for being patient with us as we figured things out as we went!). 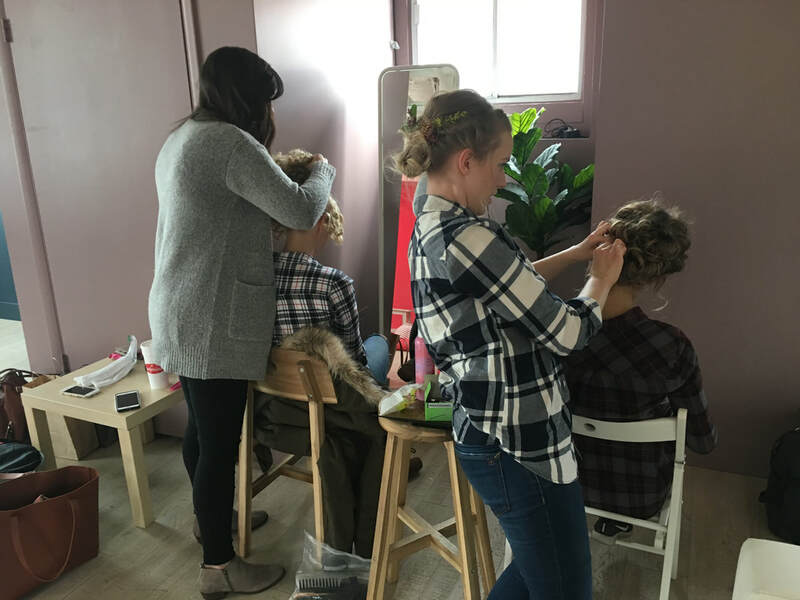 It was seriously such a fun day, seeing all our beautiful models decked out in Regency dresses, hairstyles, and accessories! Almost done with the first hairstyles! ​The best part of doing our own photoshoot is that we got to pick exactly what we wanted. For example, I was able to choose the hairstyle and dress for my model, knowing what my character looked like and what I wanted for the cover. And I think it turned out AMAZING, if I say so myself. Here's the beautiful (and generous and wonderful and kind) Amanda, who plays the part of my character Rose in Beauty and the Baron. And here are a few shots of her. We knew we wanted to photoshop different backgrounds behind each of our models (the different locations for our stories) and so we weren't concerned about the background. Just in case you were wondering about the outlets, haha. And just for fun, here is the actual photo that made it onto my gorgeous cover, designed by Shaela Kay of Blue Water Books. Isn't that so fun?? I am DYING to share the other photos of our gorgeous models, but since we haven't revealed all the covers yet, you'll have to wait and see for yourselves! All in all, we counted our first photoshoot a success! We learned a lot and are already looking forward to our next one, where we'll be even more prepared. I hope this gives you all just a little taste of how much thought, work, and planning has gone into our Forever After series. We are determined to make these books beautiful inside and out, and are again so grateful to those who gave their time and talents to help us achieve this! Beauty and the Baron is available NOW on Amazon, and The Captain and Miss Winter (a retelling of Snow White and Rose Red) is available for PREORDER. I can't wait to share all these incredible stories and covers with you! - My first book, The Truth about Miss Ashbourne, was accepted by my publisher in January and published in November. - I attended two amazing writing conferences, and loved attending classes, improving my craft, and meeting so many wonderful writers and friends. Writers are the BEST people. - I joined an AMAZING critique group, who have become some of my closest friends. - I wrote two novellas, a Beauty and the Beast retelling and a Christmas Regency, both set for 2019 releases. - I wrote my third book, tentatively titled Knowing Nora, also set for a 2019 release. If that looks a little crazy, that's because it was! 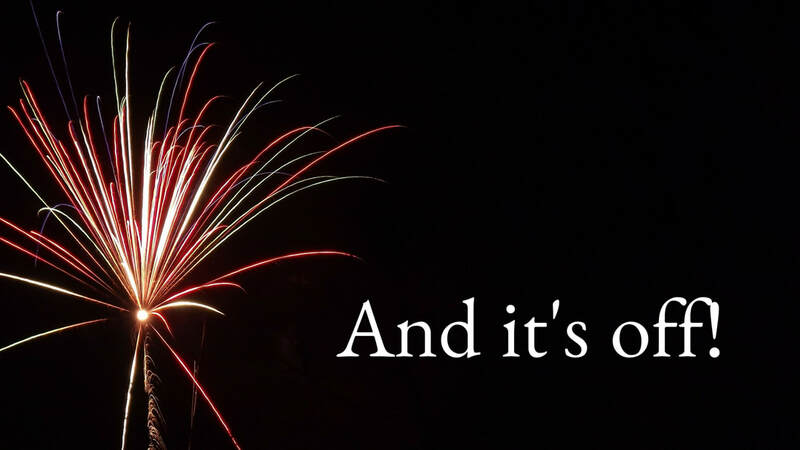 But I enjoyed every second of it (well, almost, haha) and I am so excited for what next year will bring. I have four releases lined up already! I can't wait to share all these stories and characters with you all. Thank you to everyone who has supported me this year! I can't tell you how much I've appreciated your kind words, excitement, and encouragement. The writing life is full of ups and downs, but it is made so much easier when I have such fantastic people cheering me on. 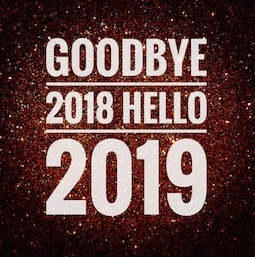 A Fond Farewell to 2018 and a Happy Hello to 2019!! I’m finally celebrating the release of my book! The Truth about Miss Ashbourne is now available on Amazon, online at Barnes and Noble, and at Seagull Book and Deseret Book. It’s been such a crazy road to get to this point, but I don’t regret a second of it. I’m so excited for you all to meet Juliana and William, and I hope you love them as much as I do. I’m so grateful for all your support! Thank you!! ​Here it is! I'm thrilled to finally share the cover for my debut novel, The Truth about Miss Ashbourne! ​Isn't it gorgeous? I'm a little obsessed with it. My publisher sent me a few options to choose from and I knew immediately this was the one! It's incredible how perfectly this cover fits my book and especially Juliana. She is calm and collected until she's backed into a corner—then her feistiness tends to make very memorable appearances! Covenant Communications is hosting a giveaway to celebrate the cover reveal. Head over to their Facebook page to enter to win one of THREE copies! The Truth about Miss Ashbourne will be released Nov. 1, 2018, and is available for preorder on Amazon! My first book, The Truth about Miss Ashbourne, has officially been sent to press! It's a little crazy knowing I can no longer tweak it to my heart's content, but I am SO happy with the final product. This is a book that I truly love, and I hope it makes its readers swoon and blush and get those amazing butterflies that I am addicted to! A cover reveal is coming in August (eek! ), and hopefully an announcement about my next project! Stay tuned! I'm a romance addict, lover of all things historical, and a writer mom who loves her job!